What’s a grownup allergy kid? Well it’s an allergy kid whose grown into an adult, and that’s me. Had my allergy since before I can remember and it’s not going anywhere. I have a medical kit: adrenaline pens, inhalers, and anti-histamines. I LOVE food! Especially chocolate biscuits. That’s why I carry a medical kit with me at all times; it has my life-saving medicine in it. But why life-saving medicine? It sounds a bit drastic doesn’t it? Well my medicine is about preventing my death. Much like wearing your seatbelt in the car it doesn’t stop an accident but it keeps you safer if there is one, my medicine is like my seatbelt. Over my lifetime I’ve had many people think it strange that a nut could kill someone. It’s so small and most people can eat them. That’s the thing about an allergy, something harmless to one person could be seriously damaging or fatal to another. From an early age my parents taught me how to manage my allergy. The tools I learned taught me how to navigate the world safely and live confidently with anaphylaxis. Life is there to be lived and it’s too short to live in fear of your allergy. What Helps Me Live Confidently with Anaphylaxis? To live the life I want, I live by a simple set of rules to keep me allergy safe. You never know when you could have an allergic reaction so you need to be prepared. My allergy medical kit is there to preventing a worst-case scenario (death) and get me to hospital so that I can receive full medical attention. 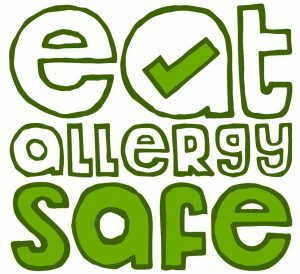 The simple way to stay allergy safe and not have a reaction is to stay away from known allergens. Every allergy sufferer should get into the habit of checking ingredients labels and asking for ingredients information for unpackaged foods. This is a really easy habit. Don’t let other people make decisions about what goes into your body because they don’t know your allergy like you do. Better to be safe than sorry. The food might look yummy might smell good if you can’t check and make sure that safe don’t eat it. If anyone says to you “oh, I’m sure it’ll be fine,” that is not a definite yes it is safe. You need to check the food is safe for you if it’s not don’t eat it. Don’t play Russian Roulette with your life; don’t fall to peer pressure because it could be fatal for you. As an allergy sufferer you will need to involve others in your allergy management plan. This can include your family, boyfriend, girlfriend, friends, colleagues etc. Most people don’t know much about allergies or allergy management. If they’re willing to listen, educate. Tell them about your allergy what is what you need to avoid and how they can help you. My allergy is mine and no one else’s. I am in charge of my safety and my well-being. I know that I am my best chance of staying safe and the only way I am able to make this so, is to believe it and own it. I am confident that I can take the necessary steps to ensure I stay allergy safe such as checking labels, educating others, carrying my medical kit, and always knowing I can say “no”. Managing allergies is simple it’s just about having the confidence to do it. It’s about managing your circumstances to your advantage so that you can join in with all life has to offer, allergen free. Like most things practice makes perfect. Wherever you are on your allergy journey you can always keep learning. Your life is what you make it, and allergies don’t have to stop you in any way.